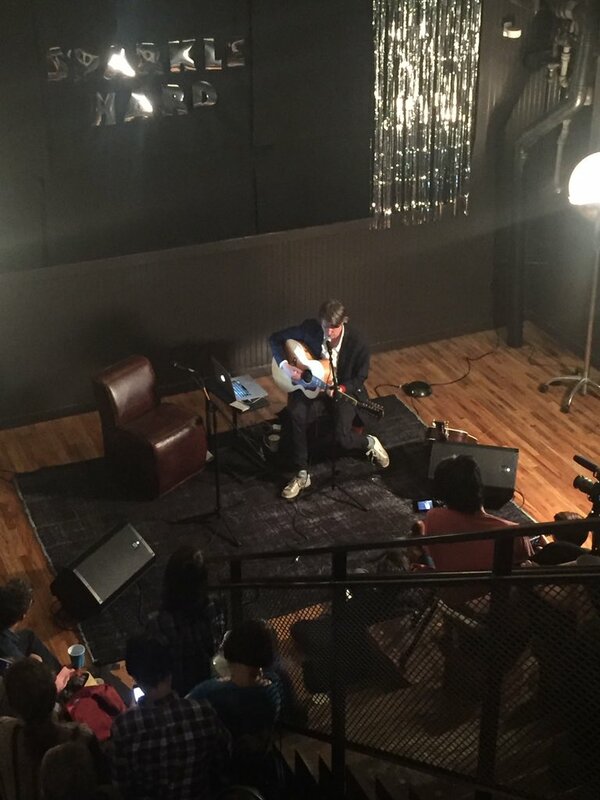 Does anybody have some info about the acoutic set SM gave a few days ago at Matador Records in NYC ? I only found a few pics on twitter, but if someone have setlist it would be nice, and a video recording would be awesome. It seems there was also Q/A with SM, would be great to have a transcription ! And for all you UK denizens, didja see they just posted tour dates for you on their Instagram story! Just pre-ordered, very pumped... wish they'd add in some merch, but at this point I'm just dying to hear this record! Not a lot on the track listing we know about, unless they've been renamed (though it seems we've usually had pretty static names if we've heard them in advance). I was hoping Baby Boomer Nites would get fleshed out and make it on a record, so we'll see if it's got a new title. Shiggy is a great song. I'm sensing that this album is going to be a combination of the fuzzed-ness of WOAJ with the lyrical depth of FTT. Shiggy's a good ripper for the #7 slot. New album ordered from Domino on grey vinyl with sticker sheet! Yay! Also saw the live dates, so Manchester here I come! It’s gonna be a looong wait until October. Google Music didn't work for me earlier, but works now. I am a subscriber though, so maybe that make it easier for me. Pre-ordered the LP, but a little disappointed that no extras were included. Always nice to get a poster, bonus 7", etc. I wish there was a way to order the UK version from the US. It's gotten a lot harder with browser geolocation etc. I know. I was hoping for a bonus 7" like we got with WOAJB's. I cannot find "Kite In A Closet" (or whatever it's real title was). Can anyone remind me where it came from? Yeah, I agree, was hoping for a little something cool on pre-order. At this point, just glad we've got a new record finally! Ya gotta admit, that cover rocks the house down. And that font? It's like pure gold. "Dom Mart-exclusive deluxe LP (heavyweight coloured vinyl, insert and 12x12” sticker sheet with 12 individual die cut designs for each of the songs on the album by the creative genius Turbo Island)"
To quote former disgraced CIA director George Tenet: It's a slam dunk.